Owning your own swimming pool is a great investment, because it not only provides you and your family with a safe and fun way to get exercise over the summer, but it also increases your home’s value. While startup costs for pool installation may seem high, swimming pool maintenance costs are often cheaper per summer than the average family vacation. Here are a few more things you should know if you’re considering a swimming pool installation in Salt Lake City . around $80 per month on electrical or gas costs for a pool heater for your pool, hot tub, or spa. The cost of the chemicals necessary to maintain the sanitation levels of the pool will be around $20 per month. 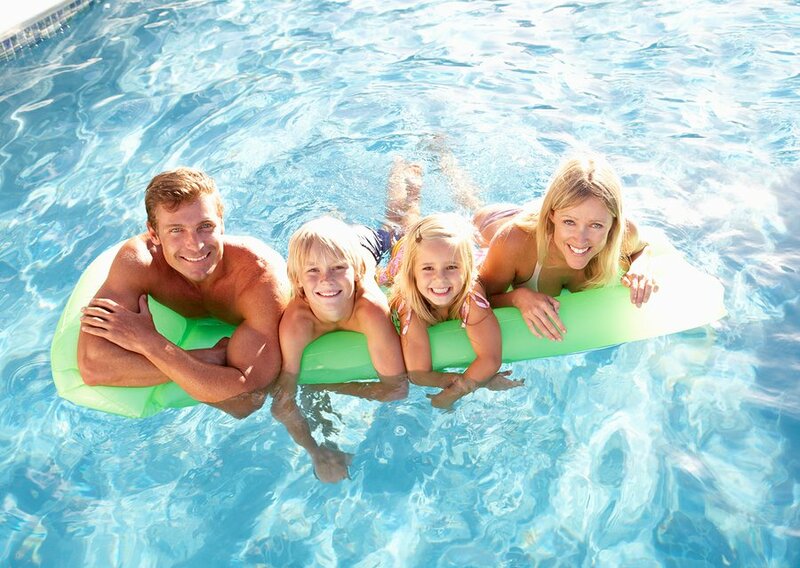 If your pool or pool equipment requires maintenance or repairs, the cost averages to about $20 per month. Hiring a professional swimming pool services company for your pool maintenance, such as cleaning, and testing and adjusting your pool’s chemical levels, can be around $100-$300 per month depending upon your region. Again, this cost varies from region to region. On average, swimming pool builders and installers charge around $40,000. This cost can increase or decrease depending upon certain pool features, such as the type of pool deck and pool tile, and weather the pool is a small pool, lap pool, indoor swimming pool, or an in ground pool. A swimming pool will always increase the resale value of your home. How much it increases depends upon your neighborhood and your region. An in ground swimming pool installation can increase the value of your home between 8% and 15%. In the Southeast, the value will increase between 5% and 10%. In the Southwest, between 8-13%. If you are considering a swimming pool installation for your yard, you should be sure to hire a quality swimming pool contractor to perform the job. By doing your research and hiring a highly rated swimming pool contractor near Salt Lake City , you can rest assured that your swimming pool or hot tub installation will be performed to perfection. As you are selecting a swimming pool contractor, you should look at the contractor’s reputation in the local community. Additionally, you should also make sure that the swimming pool company that you are considering working with is fully licensed and insured. 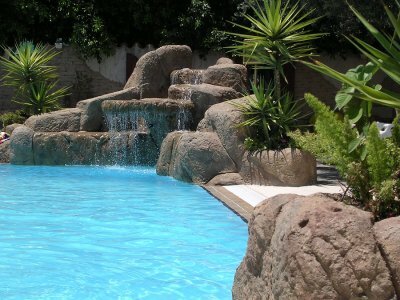 To learn more about some handy tips for choosing a swimming pool contractor, watch this video from Swimmingpool.com. As the outdoor temperatures heat up, chances are that you may be dreaming of a swimming pool installation in your backyard. With help from a highly rated pool contractor in Salt Lake City , you can transform your dreams into a reality. When you install a new pool and water feature in your yard, you will create an inviting oasis for your family and friends to enjoy. Whether you are seeking a spot to hang out with friends or a lap pool for exercise, a company offering swimming pool maintenance and installation can help you create the perfect pool for you. Read on for a closer look at some of the great benefits of having a swimming pool. When you install a swimming pool in your backyard , you will create a central gathering space for your family and friends. Over the summer months, your swimming pool will be an area where your loved ones will enjoy having parties, relaxing, and taking a dip in the cool water. If you love spending time at the pool, you will add convenience to your summer recreation by installing an inground pool in your backyard. When you have a pool installed on your property, a day of fun at the pool will be mere steps away from your home. Whether you love to host backyard cookouts or simply spend time in the sun, a pool is sure to be a convenient and enjoyable addition to your home. A swimming pool installation in your home will also encourage your family and friends to get outdoors and become active. When you swim or play in a swimming pool, you will enjoy the low impact benefits of exercising in water. If you are planning on kicking your fitness routine into the next gear, you may also want to consider swimming laps in your pool. Lap swimming is a terrific way to get in shape for the summer months. If you are in search of a great way to enhance your backyard or patio space, you may want to consider a hot tub installation. When you schedule a hot tub installation for your home, you will create an inviting space that will encourage you and your loved ones to kick back and relax. Along with creating a relaxing atmosphere, there are many other notable benefits to a hot tub installation . For example, hot tubs have been shown to ease tension and reduce stress. In addition, a new hot tub can also provide you with therapeutic muscle relaxation after a long day. Since hot tubs can be enjoyed during colder weather, a hot tub installation can help you enjoy your yard, well after the summer season has ended. A swimming pool company in Salt Lake City will be able to assist you with every step of the hot tub design and installation process.